Damiana is an arromatic herb from Mexico, and Central America. It's been used as a flavouring agent in liqueurs for hundreds of years, and is thought to be the original flavour for the margharita. Damiana is a potent anxiolytic, often used for conditions involving pain, fatigue, anxiety, and stress. It's also been used successfully for a very long time for conditions involving sexual debility. Damiana is mainly used for conditions involving anxiety, as well as sexual debility. Newer uses involve its ability to improve the effectiveness of antibiotics. In Germany, damiana is used to relieve excess mental activity, as well as nervous debility, and as a tonic for the hormonal and central nervous systems . The British Herbal Pharmacopoeia cites indications for Damiana's use for “anxiety Neurosis, with a predominant sexual factor, depression, nervous dyspepsia, atonic constipation, and coital inadequacy” . Traditional uses of this plant from around the world include its use as an antidepressant, cough suppressant, mild laxative, aphrodisiac, tonic, diuretic. It has been used for conditions such as bedwetting, depression, anxiety, sexual dysfunctions, bronchitis, gastric ulcers, menstrual irregularities, constipation, asthma, neurosis, diabetes, dysentery, dyspepsia, headaches, paralysis, nephrosis, spermatorrhea, stomachaches, and syphilis. [8, 10]. Damiana was used by the Mayans for “giddiness, and loss of balance”, as well as its more well-known use as an aphrodisiac . Mexico, Central & South America, West Indies. Some resources suggest that Damiana is a member of the Turneraceae family of plants, with others list it's in the Passifloraceae family. The Turneraceae family consists of about 10 genera, and 120 species. The majority of these plants are sub tripical or tropical shrubs, with a few trees as well. The passifloraceae family contains some 750 species and 27 genera. Damiana is a small shrub, growing to a height of about 1-2m. Its leaves are serrate, aromatic, and roughly 10-25cm long. There are 2 species used interchangeably in herbal medicine: Turnera diffusa, and Turnera aphrodisiaca. A third species (Turnera ulmifolia), is very similar in appearance but has different traditional uses . This species has been confirmed to share many of the more recent uses such as in combatting drug resistant bacterial strains . More research is needed to determine the chemical composition differences of each species. The leaves are harvested during the flowering season. Most of the Damiana on the market today comes from Mexican, and Latin American cultivation projects . There has been some evidence to suggest that the hypoglycaemic effects are not found in the alcoholic extraction of this herb, suggesting that the components responsible for this action are water soluble only , however, other studies have eluded to some of the effects only being methanol soluble, therefore, it may be better to utilize both methods, and combining these extracts together and reducing or concentrating this liquid to achieve maximum effectiveness. Eugenol, present in damiana, has been shown to regulate GABAA receptors . GABAA receptors play a role in the modulation of various activities in the CNS. These results suggest a mechanism of action for damiana's effect on various CNS disorders, especially pain. The flavonoids acacetin, and pinocembrin contained in T. diffusa were shown to be weakly aromatase inhibitors . Aromatase is an enzyme that synthesizes estrogen. Therefore, aromatase inhibition is one method of combating both breast, and ovarian cancer in females. A study investigating the effects of Turnera ulmifolia (a similar species with a similar chemical makeup to Turnera diffusa and Turnera aphrodisiaca), on MRSA (Multidrug resistant methicillin Staphylococcus aureus) has stated that “The results obtained indicate that Turnera ulmifolia (and broadly Turneraceae) could serve as a source of plant-derived natural products with antibiotic resistance-modifying activity to be used against multi-drug resistant bacteria as MRSA strains acquired from hospital and community” . These findings are significant in a time where bacterial resistance to antibiotics is increasing at an alarming rate. The overuse of antibiotics in hospital settings are likely a major cause of this adaptive resistance. Amino-glycosides are potent antibacterial chemicals that attack the ribosomes of bacteria to destroy them. Bacteria such as MRSA have developed efflux pumps to “pump” the antibiotic out of the cell, as well as the use of enzymes to inactivate this chemical from destroying the cell. Turnera ulmifolia, and likely other members of the Turneracea family as well as other botanicals, work on eliminating this resistance by modifying and inactivating these efflux pumps . By incorporating what is being coined as “resistance modifying agents” (RMA) to antibiotic formulas, the effectiveness of known antibacterial agents will increase in resistant bacteria. Their use will also significantly lower the ability for bacteria to adapt and resist to these medications in the future. More study is needed in determining the effectiveness of Turneraceae botanicals, as well as other possible RMAs to improve our ability to fight drug-resistant bacteria such as MRSA in a time where this is becoming a very serious global health issue. Eugenol, one of the most well-known components of Turnera spp. Has been shown to produce a wide range of antimicrobial effects, including against fungi. It has been shown to be active against many wood decaying fungi, plant pathogen fungi, and human pathogenic fungi as well. These actions have been reported to its ability to disrupt the cell walls of both fungi and bacteria . In modern days, cancer therapy is constantly evolving, and with plenty of anticancer agents coming from plant sources, it is important to continue research on new plants to find new and better medicines. A study done investigating the effects of a methanol extract of Turnera diffusa out of Mexico found that “Turnera diffusa has a cytotoxic effect on MDA-MB-231 breast cancer cells, and that this activity, at least in part, owes itself to the activity of apigenin” [2, pg. 303]. Other suggestions for damiana's effects against cancer involve eugenols suggested action of interfering with the uptake of aromatic and branched-chain amino acids into cells. It is a common idea that starvation of cancer cells of phenylalanine and its subsequent tyrosine may be used as an anticancer strategy . Damiana has long been used with CNS disorders. Researchers out of India were able to extract and isolate the known anxiolytic compound apigenin from Turnera aphrodisiaca. These researchers suggested this constituent be the bioactive marker towards ensuring effectiveness with this botanical . Damiana can also be smoked to achieve a tranquilizing and slightly euphoric sensation. Many use this herb in this way to manage low levels of stress/anxiety, or acute stress from a long day. Damiana has been shown to produce a significant improvement in the sexual function of impotent rats in a study done in Italy. This study did, however, show no improvement in the sexual activity of sexually potent rats. The study concluded that “[damiana] might act mainly by increasing central noradrenergic and dopaminergic tone, and possibly (indirectly) oxytocinergic transmission” . Other mechanisms include induced relaxation of the corpus cavernosum , and the suggested action that the volatile oil may irritate the urethral mucous membranes . Damiana leaves contain volatile oils (up to 1%) which is made up of at least 20 constituents (including 1,8-cineole, p-cymene, alpha and beta-pinene, thymol, alpha-copaene, and calamene) . Also contained are tannins, flavonoids, beta-sitosterol, damianin, and glycosides (gonzalitosin, arbutin, tetraphyllin B) . The main constituents of damiana include: Albuminoids, alpha-copaene, alpha-pinene, arbutin, barterin, beta-pinene, beta-sitosterol, calamenene, caoutchouc, chlorophyll, 1,8-cineole, cymene, cymol, damianin, essential oil, gamma-cadinene, gonzalitosin-i, hexacosanol-1, luteolin, quinovo-pyranosides, tannins, tetraphyllin b, thymol, triacontane, and trimethoxy-flavones , as well as tricosan-2-one, squalene, acacetin, pinocembrin, eremophyllane and simple sugars . Damiana is useful as an anxiolytic for conditions involving stress, performance anxiety, overstimulation, SNS/PNS imbalance, pain, etc. It works mainly through GABA. It's also useful for conditions involving sexual debility. Other uses of damiana are for its ability to improve the efficacy of antibiotics, especially in the precence of hard to kill organisms like MRSA. Damiana has been found to be non-toxic to animals and humans . Traditional use of this plant has been suggested for abortive purposes, and therefore, should never be used during pregnancy until its safety in this case can be proven. Due to the hypoglycemic action of this herb, it may interfere with antidiabetic medications, and therefore, caution is advised if also taking medications for diabetes to lower blood sugar. Eugenol has been found to be synergistic with antibiotics due to its effect on disrupting the cell walls of bacteria (especially gram-negative bacteria), and the efflux pumps located there . Shows indications of being synergistic with other GABA inhibitors, or other anxiolytics such as passionflower or muira puama. Bone, K. (2003). A clinical guide to blending liquid herbs: Herbal formulations for the individual patient. Edinburgh [u.a. : Churchill Livingstone. Arletti, R., Benelli, A., Cavazzuti, E., Scarpetta, G., & Bertolini, A. (1999). Stimulating property of Turnera diffusa and Pfaffia paniculata extracts on the sexual behavior of male rats. Psychopharmacology, 143(1), 15-19. Szewczyk, K., & Zidorn, C. (2014). 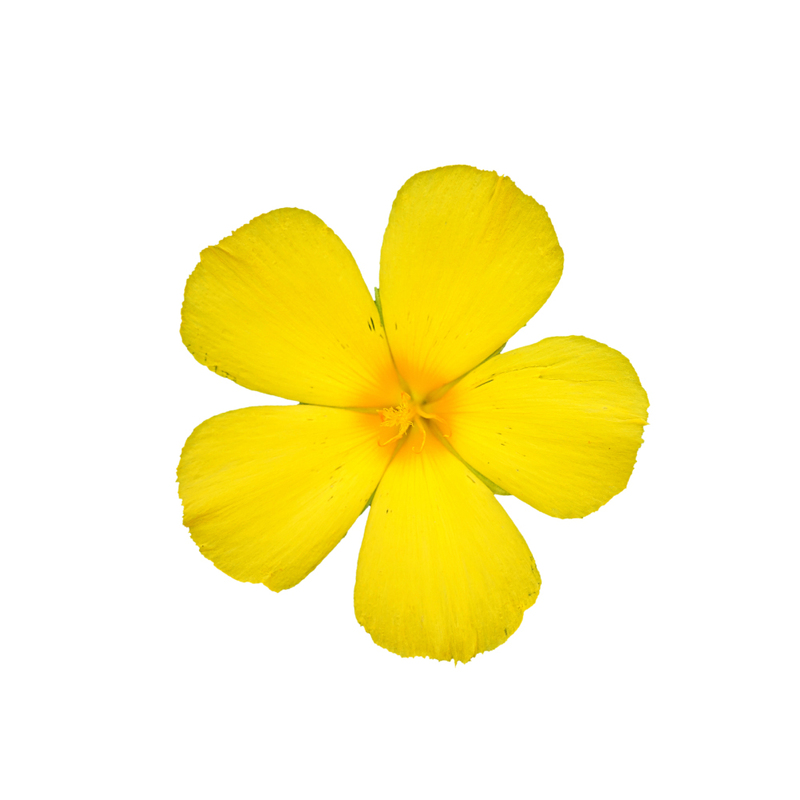 Ethnobotany, phytochemistry, and bioactivity of the genus Turnera (Passifloraceae) with a focus on damiana—Turnera diffusa. Journal of ethnopharmacology, 152(3), 424-443. Godoi, A. F., Vilegas, W., Godoi, R. H., Van Vaeck, L., & Van Grieken, R. (2004). Application of low-pressure gas chromatography–ion-trap mass spectrometry to the analysis of the essential oil of Turnera diffusa (Ward.) Urb. Journal of Chromatography A, 1027(1-2), 127-130.